The the story of Academy Award–winning actress Dusty Wilding, her wife Allegra, a long-lost daughter, and the unspeakable secret hidden beneath the glamour of their lavish, carefully calibrated celebrity life. It’s all quite tame, with none of the vengeance-is-mine anger that animated Mr. Wagner’s 2012 thrill ride of a novel, Dead Stars...The Greeks wrote their tragedies about kings and queens, and this curious novel positions the mega-famous as our modern day royalty. The risk melodrama always runs is that it becomes solely an exercise in narrative coincidence and extremity, a heaping on of fluke and fortuity and the fickle finger of fate. And for long stretches that feels like the core problem with I Met Someone. ...Wagner's book strikes one as a manifesto-like blog post, in shock-value novel form, written about the lives of people we love to hate (or are maybe tired of hating)...[A]fter finishing I Met Someone, I felt like Wagner might need to take a weeklong, meditative retreat in Ojai to reflect on his life and line of work in Hollywood — if nothing else, just to decompress. 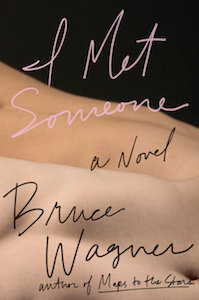 What did you think of I Met Someone?